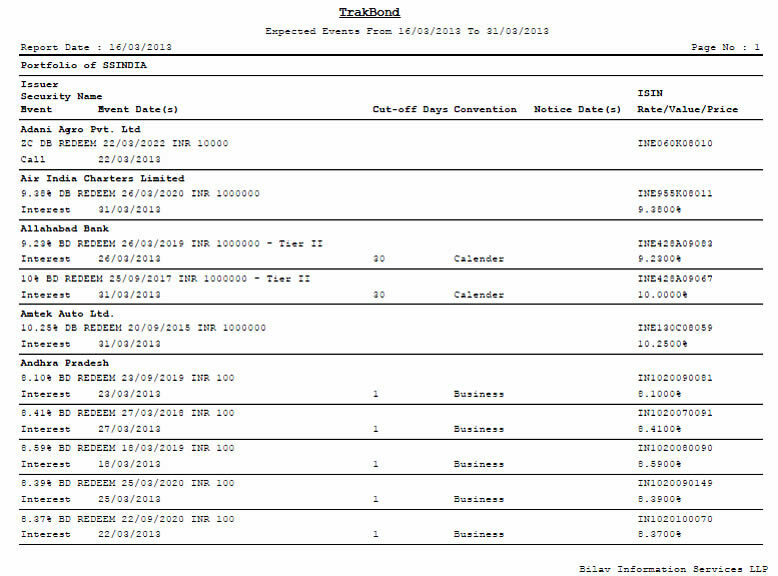 TRAKBOND gives reliable and in-depth information on Indian Fixed Income securities reference data, credit ratings, traded prices, corporate actions. It has comprehensive coverage of Indian corporate & government bonds, money market instruments & much more. 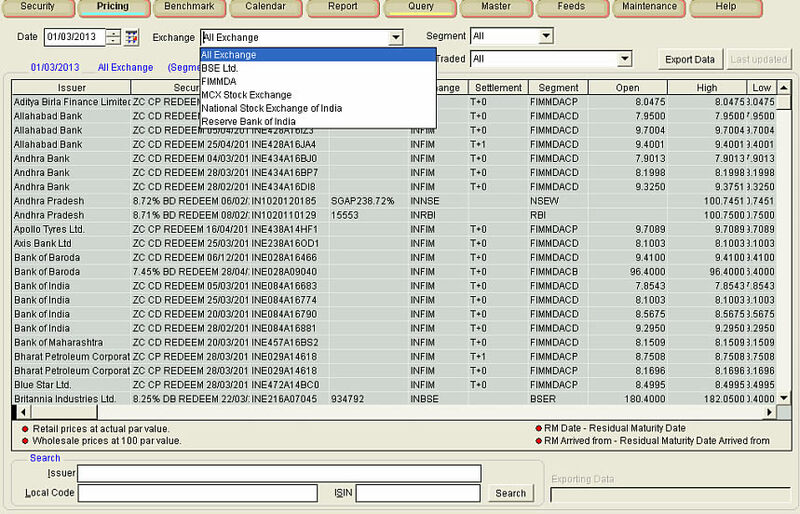 TRAKBOND is a useful tool for fixed income traders, mid-office and back-office staff. 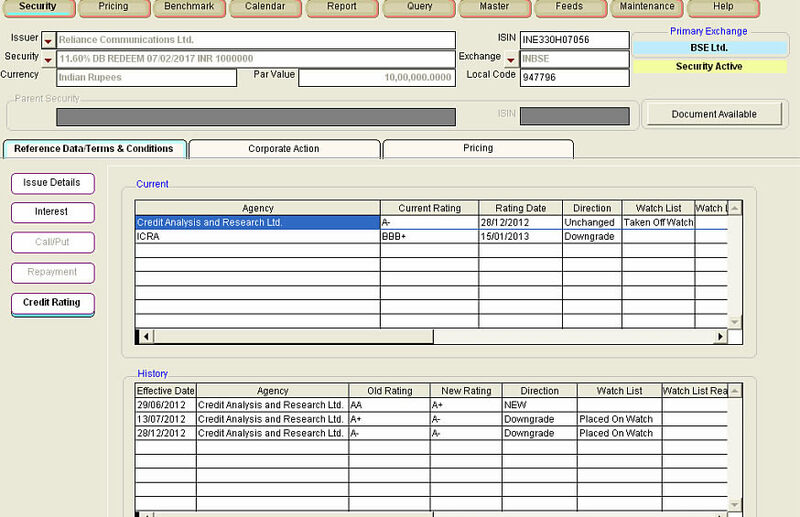 It's portfolio feature helps users to track any upcoming events on the security present in the portfolio. It is a server based multi-user application with no restriction on the number of users connected to a server. TRAKBOND aims to provide accurate, timely and reliable information for fixed income securities at your fingertips. Over 10,000 fixed income securities issued by government, corporates and supranationals. Bonds, Debentures, G-sec, T-bills, Commercial Papers and Certificate of deposits. Detailed security reference data with over 300 fields. Variety of Fixed Income coupon classifications ranging from Zero Coupon to Fixed Coupon to Floaters to Steps. 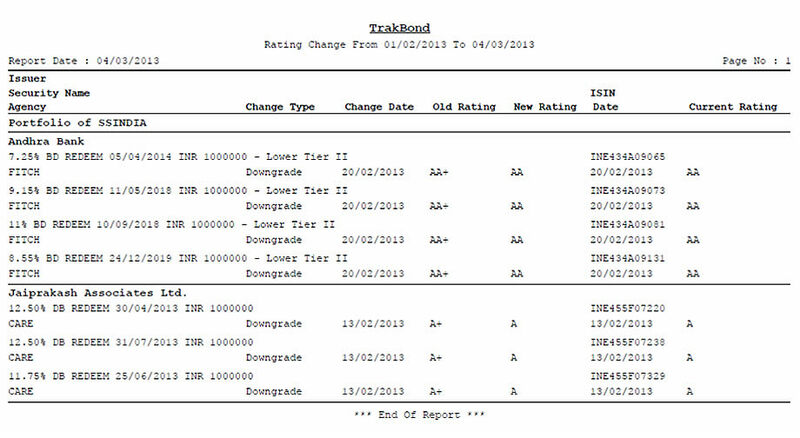 First time Credit ratings and their changes from Six rating agencies. 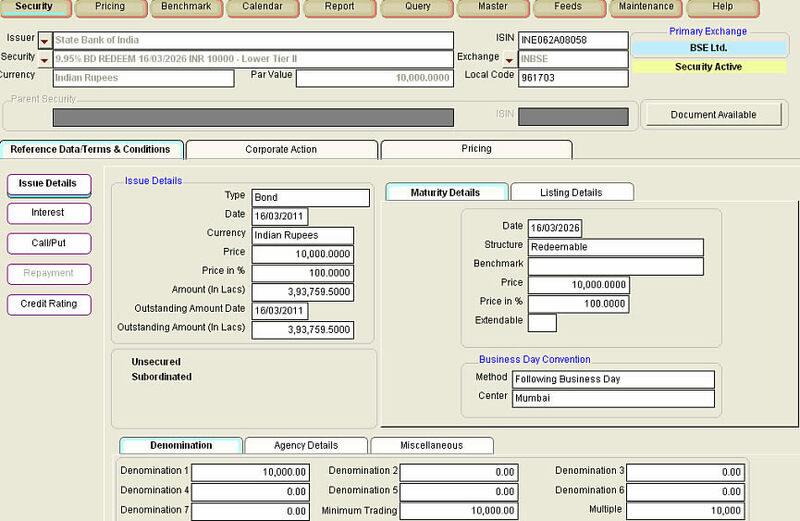 Consolidated price data for multiple exchanges/trading platforms like BSE, NSE, FIMMDA and RBI. 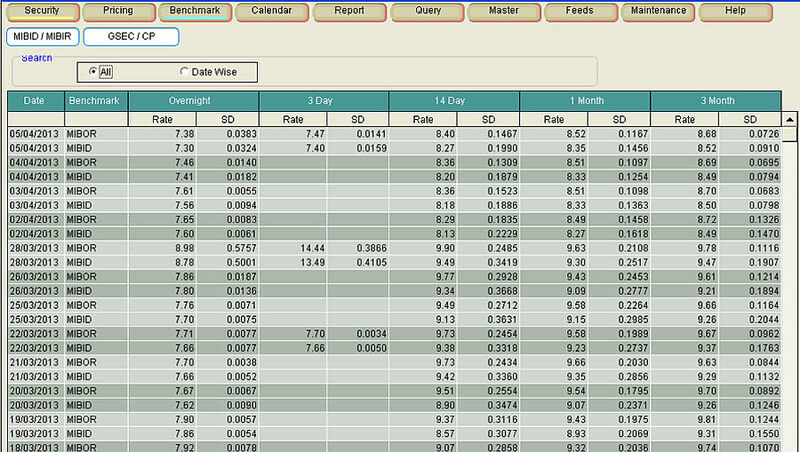 Floating rate benchmark rates like MIBID, MIBOR and INBMK. India’s first comprehensive Fixed Income Terms and Conditions repository at your fingertips. 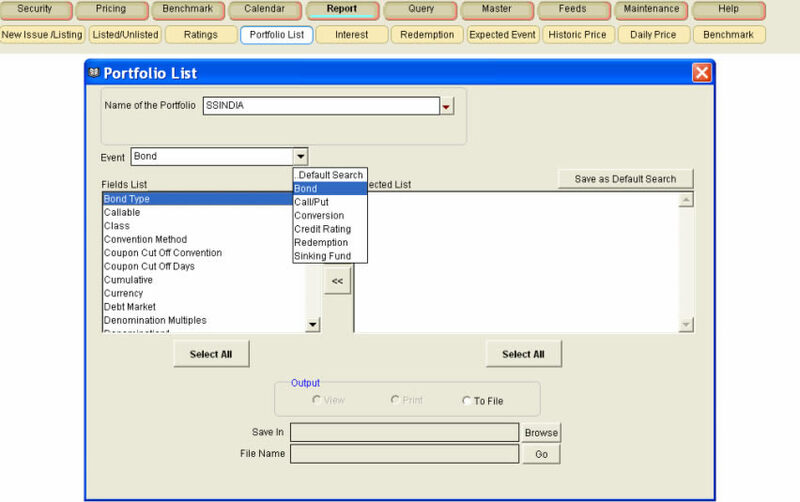 Provides information on listed, unlisted and money market instruments. Data updates are couple of clicks away with built-in update feature. Multiple data updates in a day. 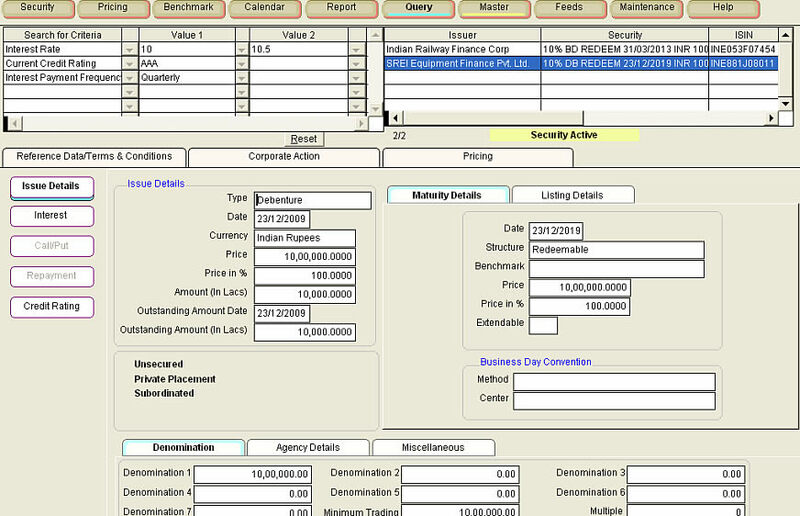 Expected cash flow alerts for portfolio like interest, redemption & conversion. 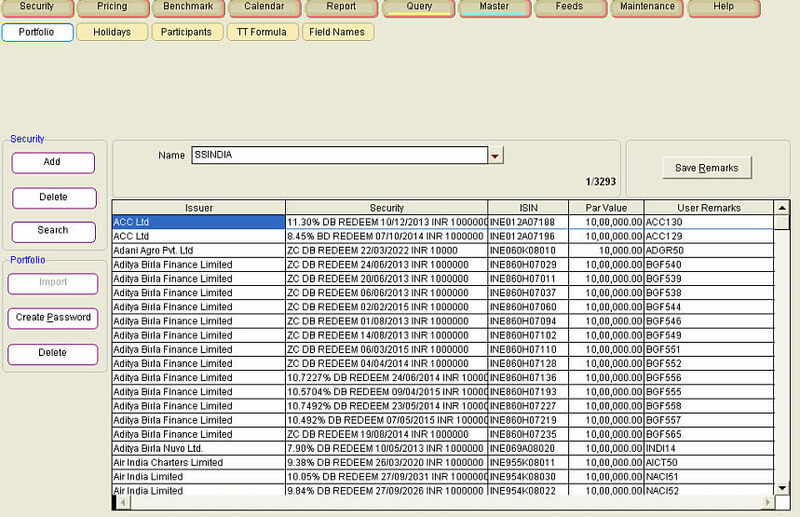 Powerful Query tool to search for debt instruments based on certain characteristics of the debt instrument. 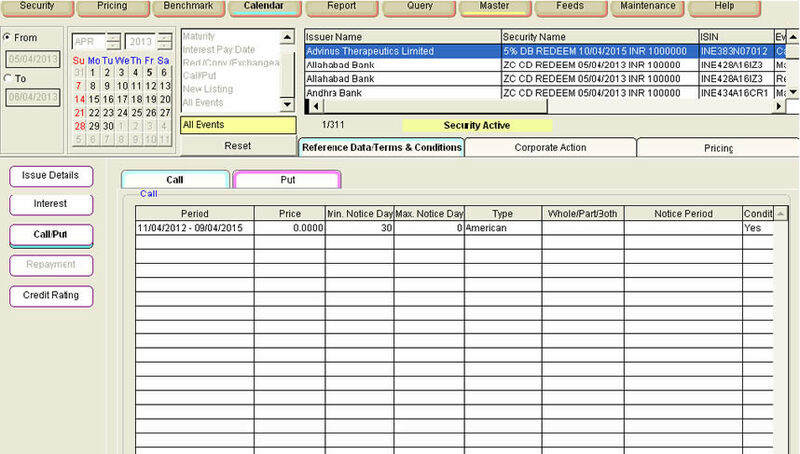 Customisable Export of Terms & Conditions for securities in a Portfolio. Identification of Thinly Traded securities. Expected events like Interest, Redemption and Conversion. 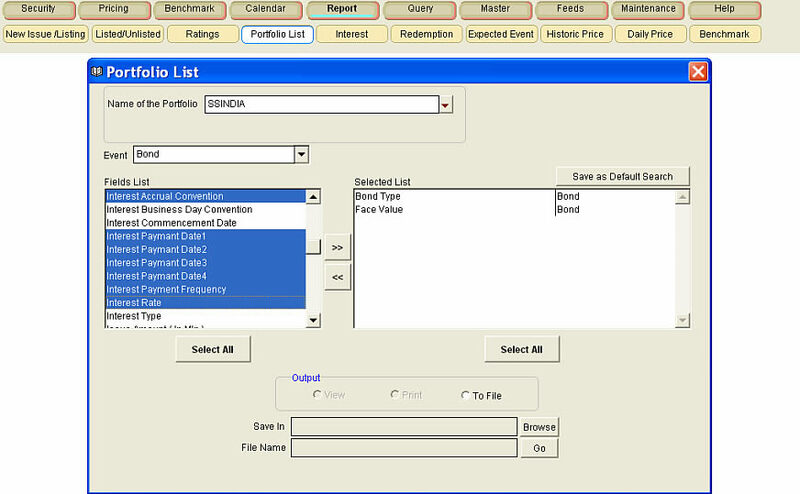 Customised output for security reference data for a portfolio. New issue and New listing information. Reports at global & portfolio level.